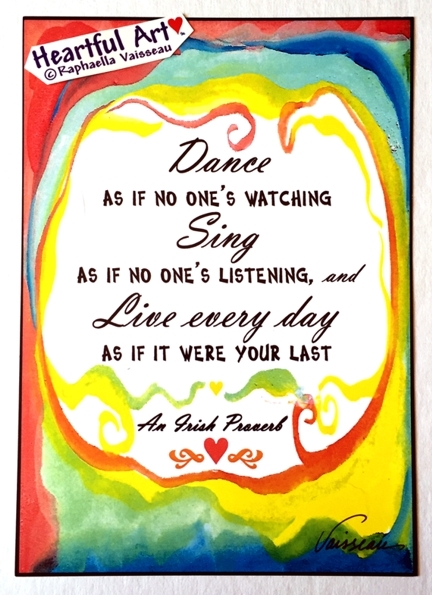 Poster or print of an Irish Proverb, "Dance as if no one's watching, Sing as if no one's listening, and live every day as if it were your last" with art by Raphaella Vaisseau. Encourage and inspire someone you love to express themselves fully, to sing, dance, and live passionately. A good reminder for ourselves as well.